The engine refinement is a necessary maintenance procedure on all vehicles, as it ensures the proper functioning of our car. Thinning is called the replacement of a number of specific components of the engine, between which the filter has benzine, spark plugs and the air filter. To this is added the cleaning and calibration of the injectors in the case of gasoline engines. Regarding diesel engines considers the calibration procedure of the injection pump, replacement of the air filter and fuel, in addition to reviewing the tips of injection and glow plugs. For the degree of complexity, the tuning must be done by a trained mechanic service, for there have the equipment and tools necessary to do so smoothly. In addition, each brand has a strict maintenance schedule that varies from model to model, because now the engine combustion is controlled electronically by the computer of the car. ¿Why is it important engine tuning? This maintenance should be performed periodically as it allows a more efficient fuel consumption, improving power and performance of the vehicle. Moreover, this optimization is able to reduce the CO2 emission rates from our car. ¿What can happen if not done the engine tuning? Due to dust, the air filter will not pass enough oxygen necessary for good combustion. This will cause stalling and power loss. Fuel Impurities eventually clog the filter benzene, decreasing the injection pressure, which will affect engine power and in some cases cutting off fuel. Each spark plugs produced during combustion they are worn, which will prevent completely burned fuel and air mixture. This will affect the performance of the engine, which loses power and can generate the appearance of smoke. 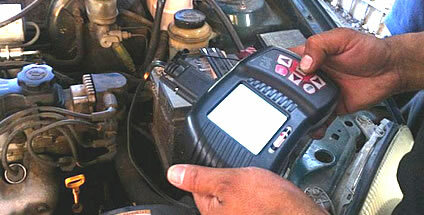 In Servicios San Borja can find optimal solutions for the tuning of your vehicle. Do yo know how to choose a workshop? Choosing a workshop to give good service to your vehicle can bring you more than one headache, in our city we have all options: economic, reliable, far, near, with extensive experience in the field or new. In this article you will find tips that will guide you in the seemingly-complicated search for a new workshop for your car.